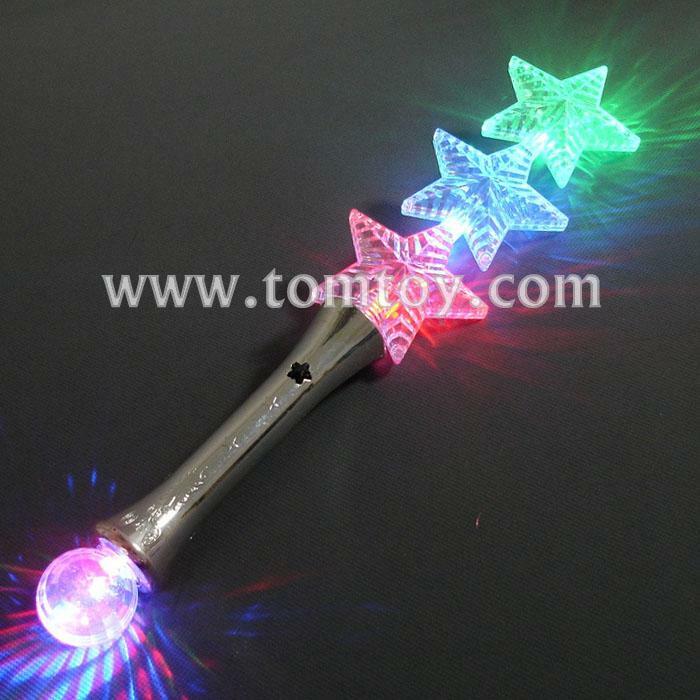 2. light up triple star wand is also ideal for carnivals, concerts, dances, and other nighttime events. 3. Features 2 red, 2 green, and 2 blue LED that light up in 3 flashing modes for a fabulous light show. 5. These Star Wands are environmentally friendly, non-toxic and are designed to last for a long time. Easy to use, and absolutely amazing Star Wand product.